Life Fitness are global giants of the fitness world so the brand is often instantly recognisable, especially to gym-goers familiar with their commercial equipment. Such machines can cost up to £8000 so it’s a relief that some of their home models boast some of the very same features of their club machines but at a fraction of the cost. 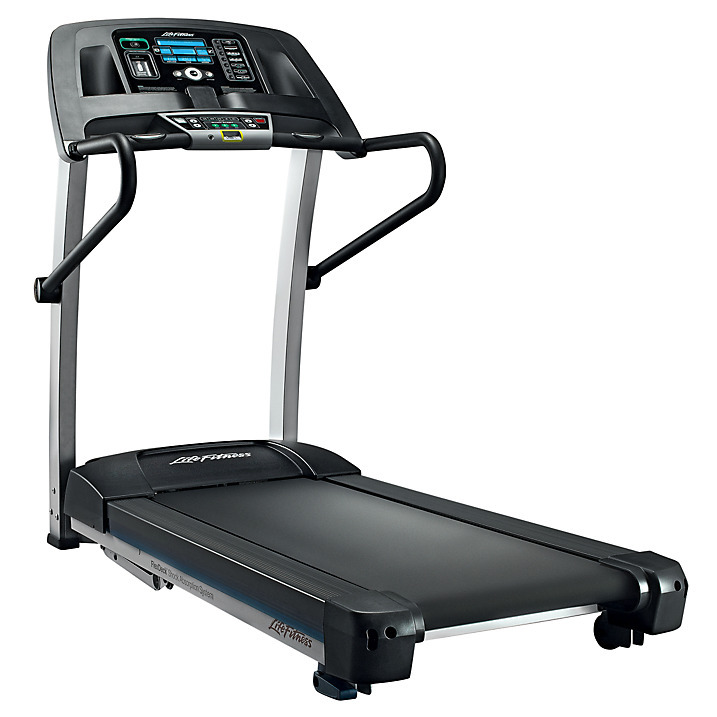 The F1 treadmill is positioned at their entry-level price point but that says more about their target market than it does about this particular model! Life Fitness machines are aimed at people that aren’t afraid of paying a high price for high quality….we’ve set out to see if the F1 meets with such high expectations!……. The heavy price tag doesn’t just reflect the weight of Life Fitness’ reputation; you are also paying ‘indirectly’ for the ‘free installation’ of the machine. Some people may slightly resent that fact but for those that don’t possess much DIY enthusiasm or the desire to be wrestling an 18 stone box of parts this should be considered a worthwhile investment. Once assembled, the machine has a look and feel of both quality and sturdiness. It certainly feels solid but for heavier users it is worth noting that the user capacity maxes out at 21 stone 4lbs (which incidentally is 100 lb less than is capable on a similarly priced machine by another manufacturer). 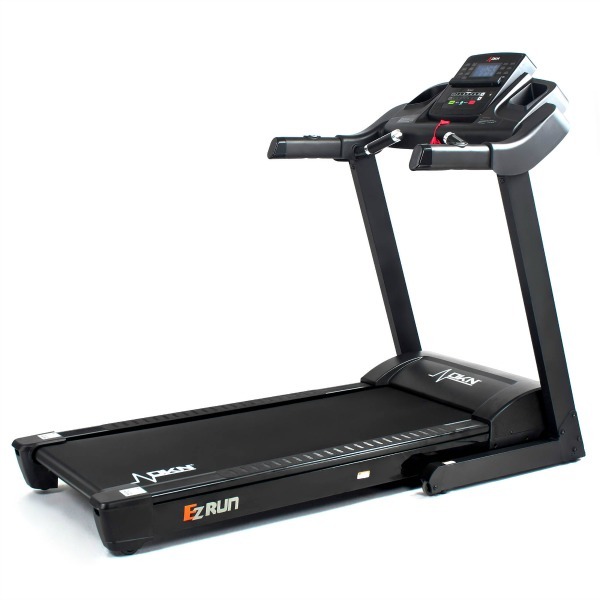 The running area of 55” x 20” (140 cm x 51 cm) should, in most cases, offer an unrestrictive workout but we’d normally expect to find a 60” long belt on a machine of this caliber. Having given fair warning to the taller and heavier users out there, we must next address the super fast and the super fit! The F1 has a 2.5 Continuous Horse Power motor that is certainly quiet and smooth running but at this level we are used to seeing 3CHP + units so once again it slightly fell short of expectations. For many people the machine’s maximum speed of 10 mph will be more than adequate, as will the 12% incline, but then again, surely the same users are entitled to more than ‘adequate’ when investing such a sum?! I After all, it is serious money and we expect ‘serious’ capabilities! Being as many machines at this price point offer 12mph top speeds and 15% incline levels we really can’t justify why the F1 can’t keep up. Before we begin to sound too condemning, let us again remind readers that what we’ve mentioned so far will only truly affect a small minority, in fact, the F1 possesses many more features that will be universally enjoyed by all! One such feature is the cushioning system! This machine boasts the very same ‘Flex Deck shock absorption as you’d find on Life’s big commercial machines and THAT is what we like to see! Studies have shown that this system absorbs up to 30% of the impact of running and in practice it feels great underfoot too! Careful consideration has not just gone into its design, but also the materials used during its construction. It’s reassuring to know that due to the imperishable nature of the material (Polymer) used in the LifeSprings, the system will feel as good in years to come as it does when you first experience it. Talking of longevity, those ‘LifeSprings’ and the frame have a lifetime warranty plus you get 10 years on the motor, electrical parts, mechanical parts, & console part and 3 years labour warranty too. Up to the console now, which houses a row of buttons that give easy access to the FIVE inbuilt pre-programmed workouts available (We have spelt the number out in case you thought we missed out as digit!) Yes, it’s a woefully small selection and we won’t be counting ‘Manual’ as number six just to bulk up the figure! However, it’s not all bad – there is a USB port which allows you to download up to 40 programs from the Life Fitness ‘Virtual Trainer’ website. These workouts can even be customized to suite the particular goals that you are striving for. So thank fully there is scope to expand upon the inbuilt options and it must be said that the standard ones are rather good. By pressing the RANDOM workout key, the console creates a course of varying hills and valleys that’s different everytime. 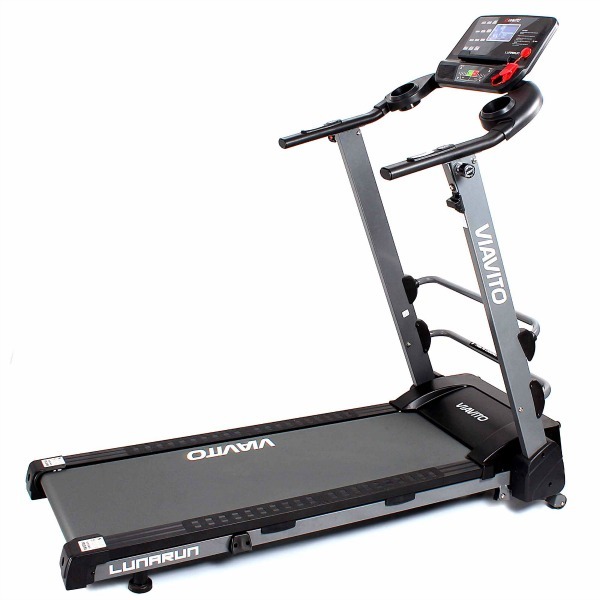 The user controls the speed but incline adjustments are made automatically. Plus there are over 1 million different patterns possible so it’s unlikely to ever get too samey! By pressing the ‘HILL’ workout button, you will embark upon an interval style of training. As you’d expect the F1 does have pulse grip sensors inlaid into the handlebars which are adequate for basic heart rate readings, but for supreme accuracy, there is a Polar chest strap transmitter included. Wearing this will allow you to get readings transmitted wirelessly to the inbuilt receiver plus you can enjoy both of the target heart rate workouts. 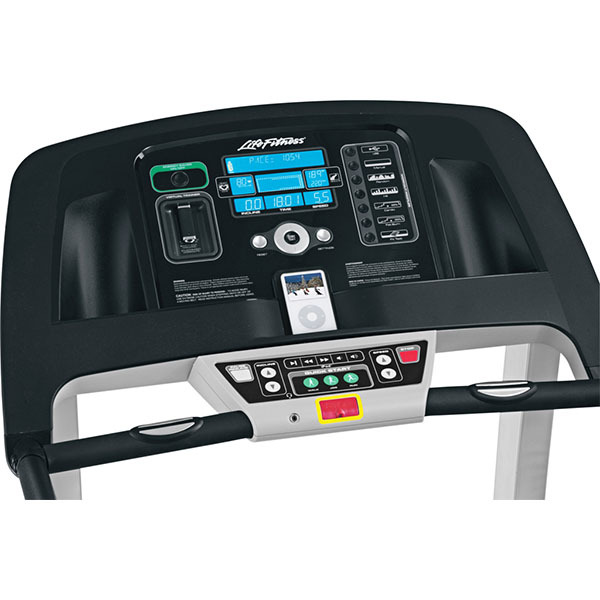 The button labeled ‘FAT BURN’ is designed to keep the user at around 65% of their theoretical maximum heart range that is the percentage widely recognized as most effective for fat burning. If your goals are aimed towards improving your fitness levels then the ‘CARDIO’ button is for you. This works on the same principal as the FAT BURN session except that the target heart range is set at 80%. The ‘FIT TEST’ button can only be utilized by wearing a compatible chest strap transmitter too. The Fit test gets you working at a 5% incline for 5 minutes and then gives you a score based upon the rate at which you recover after the workout. This is a good gauge to monitor your progress by performing the test every few weeks. To fully exploit the ‘fun’ potential of the F1 it seems rather crucial to get involved with the Life Fitness website. There you can customise your workouts and even install a free app on your iPhone that can track your workouts both on the F1 and on the road by using the GPS in the phone! Life Fitness have even got on the ‘social network’ wagon by allowing you to set up a personal profile with your picture, assemble groups of training ‘buddies’ and send and receive alerts for a bit of friendly banter! It’s all good fun and can certainly help with motivation but if you struggle to find time to even squeeze in a workout, let alone track, upload and network, then the F1 has got some convenient (and more conventional) features that should appeal. Music plays a big part in the entertainment features of the F1. At Centre stage on the console is a dedicated iPhone or iPod Touch dock. Set your device on the dock and it will be charging up and you can control the sounds with the sweat-resistant keys. It’s a nice feature but we were very disappointed to see that there are no inbuilt speakers so you are reliant on using the headphone jack. There is also a handy ledge to sit your ipad, kindle or tablet and two storage holders can keep your drinks bottle and accessories close at hand. Unfortunately it seems that any provision to plug in other MP3 Players has been completely ignored so thank goodness for small mercies that there is the USB port allowing workouts to be downloaded from a PC. Another feature that’s received some Life Fitness marketing hype is the energy saver button. 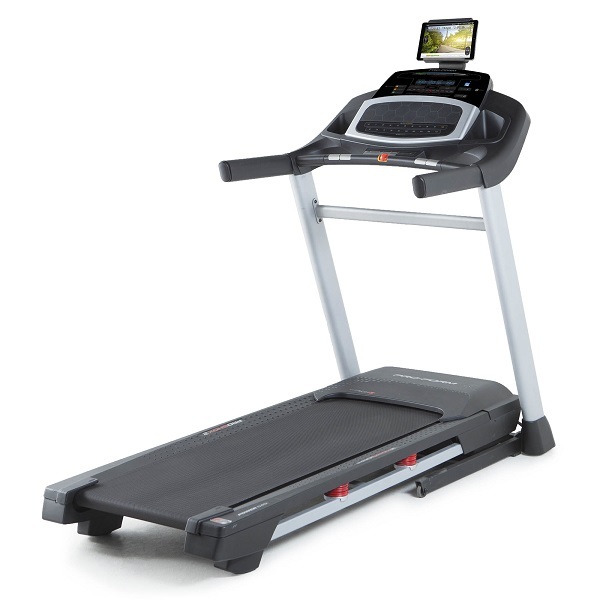 Many fitness machines have some sort of ‘sleep’ function that kicks in automatically after a period of inactivity. The F1 has a green button which you press after your workout and saves up to 90% of energy by putting the machine on ‘standby’ mode – resting – but ready for action when you next come to use it! So what do we think overall? If you have your heart set on owning a Life Fitness machine then you’re probably already accepting of the fact that you’ll need to dig deep into your pockets! What is harder to accept, considering the price tag, is all of the shortcomings and limitations of this machine. There were so many times during testing the F1 that our review team could make unfavourable comparisons with other brands that boasted cheaper models with far more impressive specifications….but then again, those machines don’t have the enviable ‘Life Fitness’ badge! 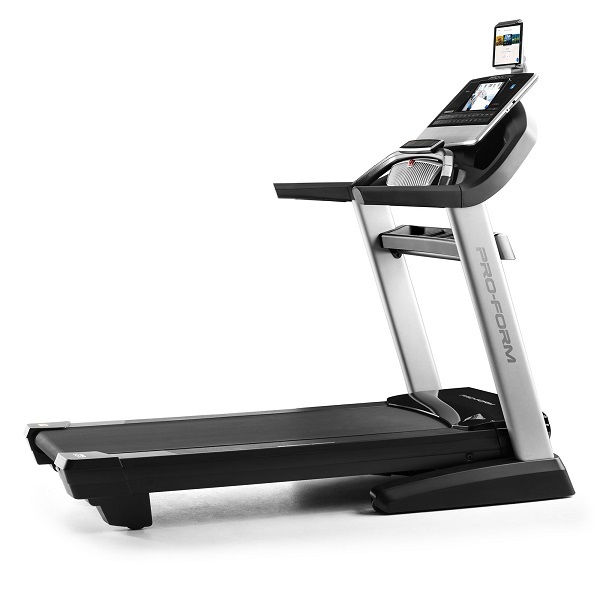 The Life Fitness F1 is not currently available from any retailers we're aware of in the UK. There are ordinary treadmills and then there are Life Fitness machines! 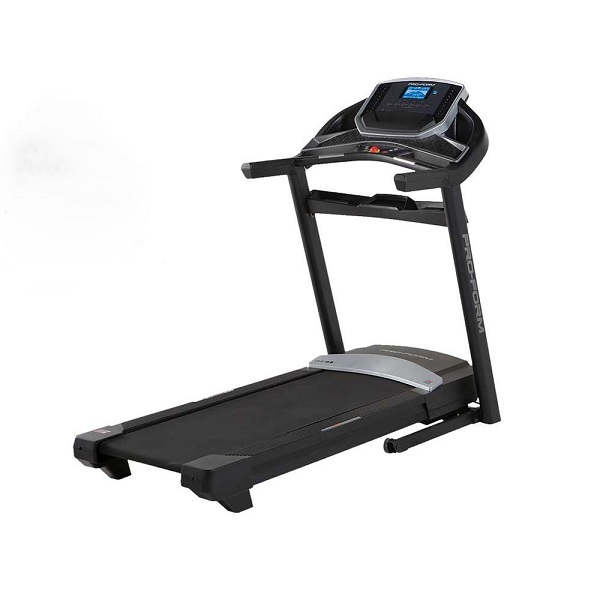 The F1 may not have the highest top speed or incline in its price bracket, but it does ooze quality and is fitted with the impressive cushioning technology that's made their machines so popular in gyms around the world. It is high quality but you do, however, pay a premium for the brand. 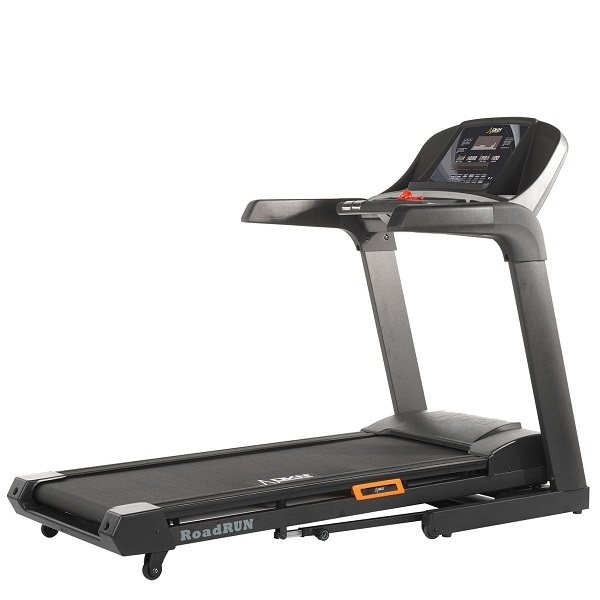 For a big saving but still a top-quality treadmill, have a look at the DKN RoadRunner I. 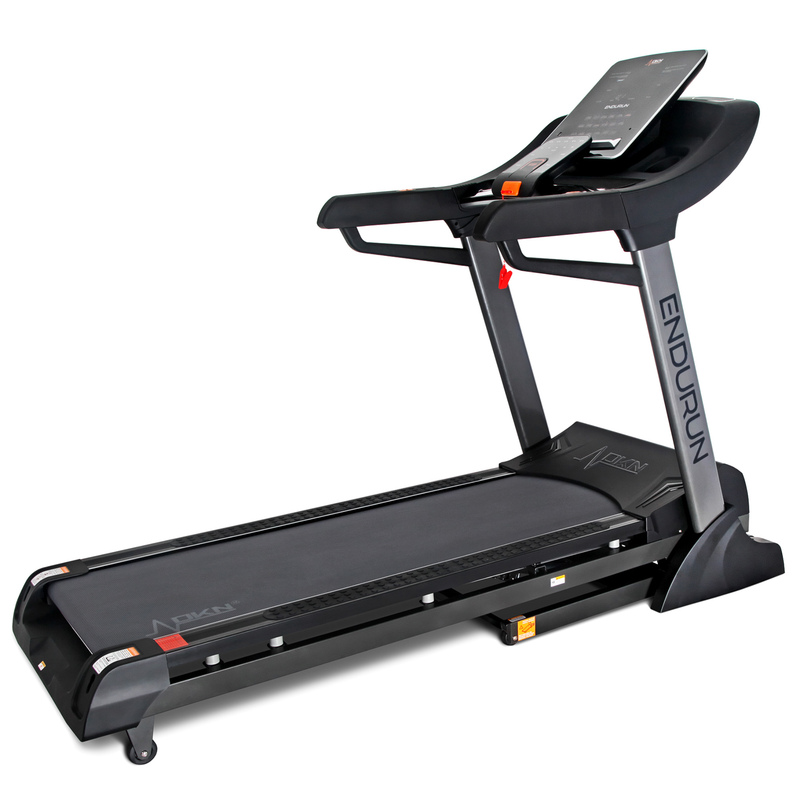 At this price point we can also recommend the superb Proform Pro 5000 treadmill.